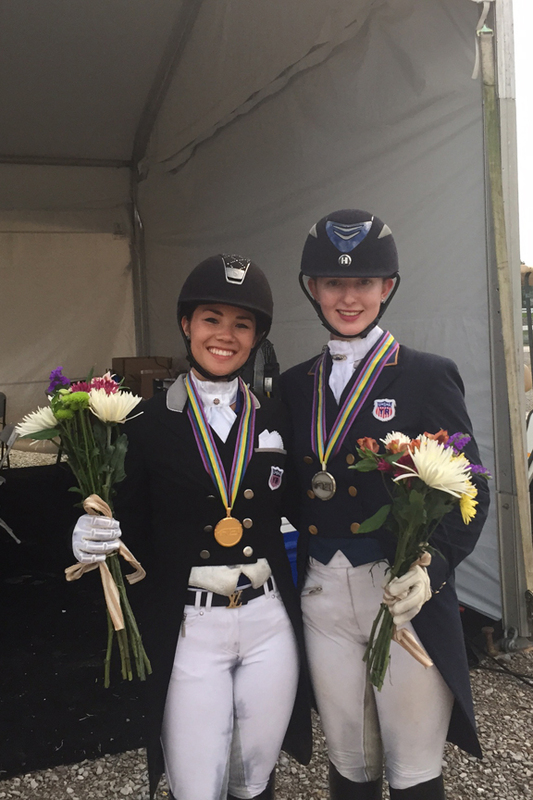 North American Dressage Young Rider Gold Medalist Natalie Pai was not even on the radar of as the high-powered winter season in Florida began in 2015. With a new horse who would not even enter the arena during his first competition, a young trainer in his second season on his own, Natalie and “Santo” Fritz San Tino began to draw attention, winning some key classes and a selection on the Region 3 Young Rider Team. As Natalie stood on the Podium, hundreds of thoughts, memories and emotions were going through her head. “Santo and I have been partnered for less than a year and he gets tense very easily. I knew we had potential to do well if I controlled his tension but I never expected to actually win. The best young riders on the continent were there and with horses, anything can happen. For it to happen for us was surreal. 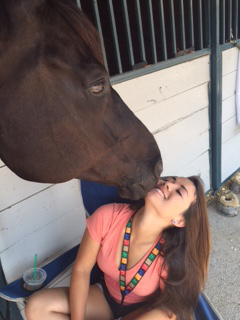 Natalie is no newcomer to horses, sharing her mother Melanie Pai’s passion since she was a young child. In spite of all the support, and ponies, horses, training and competing in the previous year as a Junior Young Rider, standing on the Podium and getting the Gold Medal around her neck for the Individual Young Rider Award was to date the thrill of a lifetime. “It was most definitely the happiest moment of my life. All the times of getting bucked off, taken off with, kicked, sent to the hospital over the years made me the rider I am today. Every rider goes through their ups and downs and heartbreaks. It could have easily been anyone else up there on that podium instead of me." Pai also was on the Region 3 Silver Medal Team. With the highest score in the Young Rider Team Test, and her winning Individual round, Pai also was presented with the coveted Fiona Baan Memorial Trophy for the highest combined average in the entire Young Rider Division, adding to the highlight of her week. 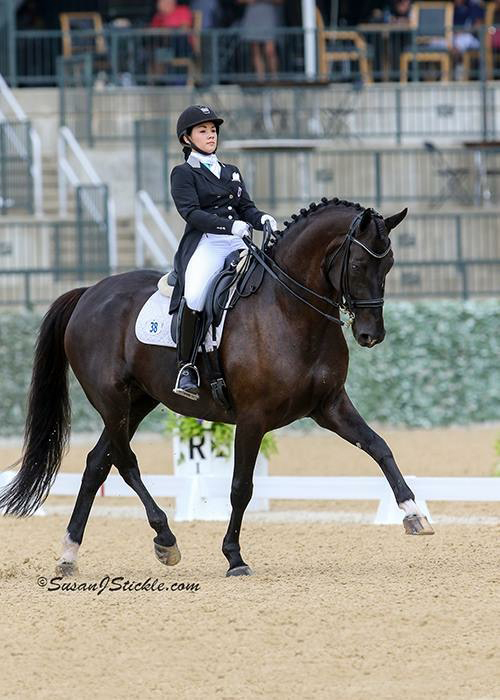 Natalie and her trainer, 27-year-old Kevin Kohmann A German certified judge, who joined Diamante Farm in Wellington Florida in 2014, have developed a strong bond of trust and understanding which culminated in Natalie’s Gold medal. 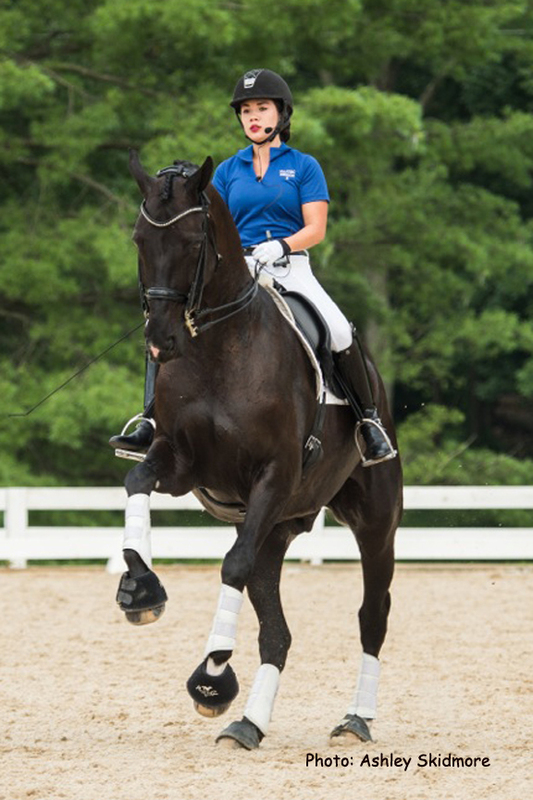 Kevin and Natalie put in a lot of hard work since Natalie first imported the 13-year-old Hannoverian Fritz San Tino (by Falkenstern II; Dam Sire: Wanderbursch II) in September 2014. 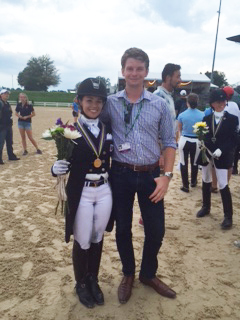 But it was not all victorious for Pai, whose standings slipped in the Freestyle for Young Riders Class. Under the lights in the Rolex Arena at the Kentucky Horse Park, the final class of the competition took its toll on several of the top contenders. Natalie also added what she continues to learn from her trainer. “While competing, I'm still training. The more you compete, the more experience you get and to know what to do in the future if certain situations arise." 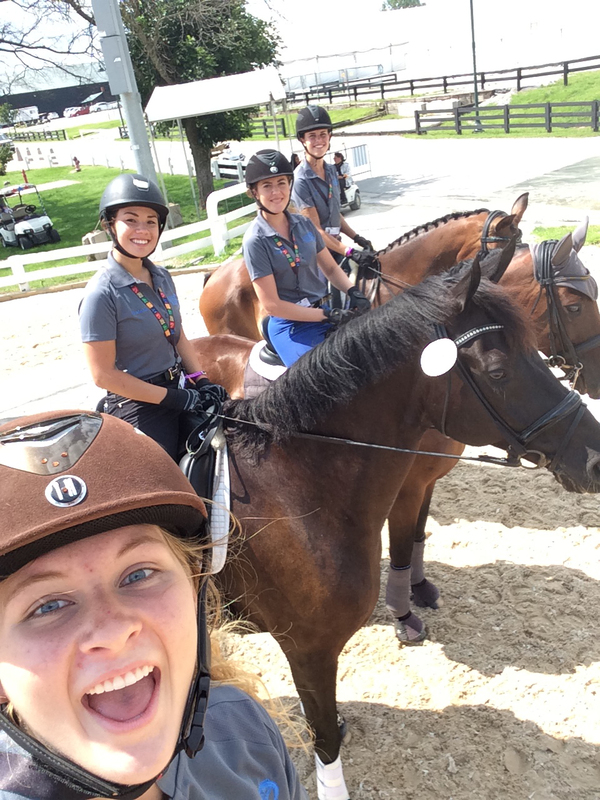 Now Natalie Pai and Kevin Kohmann are preparing for the AGCO/USEF Young Rider Dressage National Championship at the Lamplight Equestrian Center, coming up August 21-23, where once again she will be competing with America’s top Young Rider athletes. Pai will be entering college after her busy year of showing planning to major in business. She will be attending Palm Beach Atlantic University, so she can be in Wellington to continue on the path of her of moving into the Grand Prix Under 25 Division in 2016. 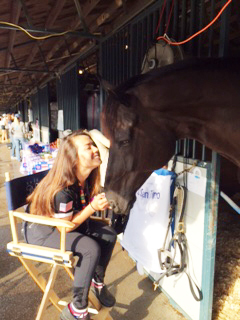 To reach the highest levels as a competitor in the sport of Dressage begins with a support team that helps to make it all happen, and Natalie Pai acknowledges all who contributed to her amazing week and her future. Thank you to Platinum Performance, Adequan, USDF, USEF, and Gotham North as well as all the dedicated volunteers for sponsoring this amazing event. I'd also like to thank my parents, Lou and Melanie Pai for supporting my dreams every step of the way. It was my mother's longtime friend Carla Symader who helped me find Fritz San Tino, and who has been a part of all of this from the beginning. My wonderful groom Carolina Fernandez for the meticulous care of Fritz San Tino and for always making me laugh. My awesome vet Dr. Shana Chase for her fantastic job of taking care of Fritz San Tino. My farrier, James Gilchrist for always makes sure Fritz San Tino's shoes are in top-notch condition. Finally, a huge thank you to my horse Fritz San Tino for trying his heart out for me and for teaching me so much.